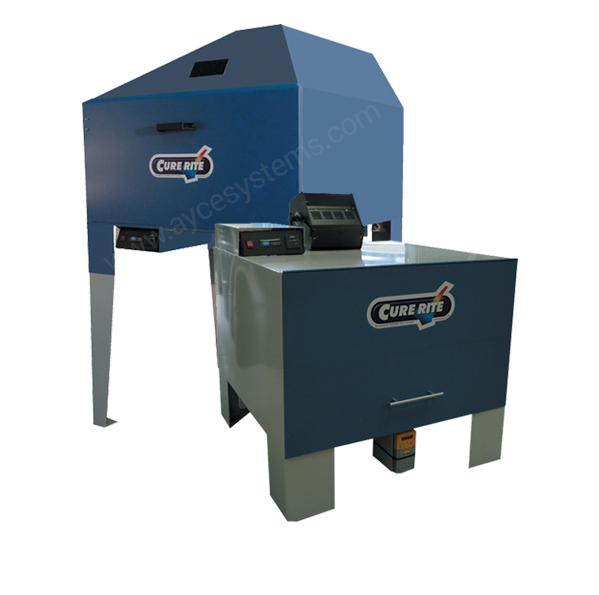 The Cure-Rite UV Curing Oven is an enclosed Ultra Violet oven with fully adjustable rotating turntable utilising our Solaq UV cured lacquers and primers. Fully cures a Solaq UV lacquer coated wheel in 2 minutes. Now painted alloy wheels can be fully cured and hardened to withstand solvents and wheel acid cleaners in a remarkable 2 minutes. Wheels can be cured with the tyres on, as the curing system relies on UV light as opposed to the high temperatures associated with powder coating and infra red. The UV Curing Ovens enable an incredibly quick turnaround of repairs both increasing turnover and customer satisfaction. Accommodates alloy wheels including tyres up to 38"
For more information about our UV Curing Ovens click the button below to download the print friendly PDF brochure, or if you would like to receive a quote for this system, please click the request a quote button.